Could this be the Next Dessert Craze? If you fell in love with the Tella Ball milkshake, watch out! The Gaytime Honeycomb Bomb is here and it’s trying to steal your heart. This delicious ball of sugary goodness will explode out of your glass and into your life. Gaytime Honeycomb Bomb, oh my! 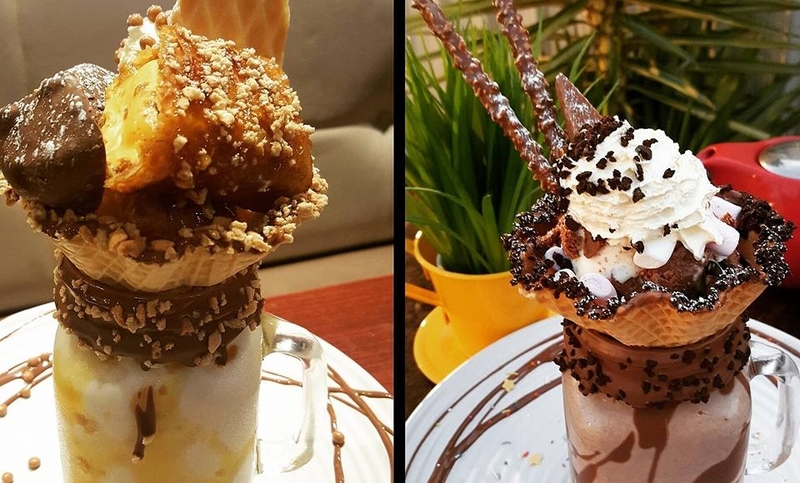 The freakshake craze that swept Sydney last year has inspired the makers of the popular fried Golden Gaytime to create this behemoth of a dessert. For $20, you’ll get a caramel frappe topped with an explosion of deep-fried Gaytime, honeycomb, crunchy caramel pearls, bits of chocolate, ice cream, whipped cream and gooey caramel sauce. Find someone to share it with, or don’t. WTF stands for What the Fudge – of course, the Canley Heights institution that invented the Gaytime Honeycomb Bomb, which can also be found at their Café in Cabramatta. Co-owner Elvis Pham told The Daily Telegraph “We try to make our desserts as visually quirky and crazy as possible, but with flavours that match,” and with a menu featuring the Gaytime Waffle Tower and Salted Caramel Ice Cream Sandwich there is no shortage of Instagram-worthy treats. Just in case you need an excuse to eat dessert before midday, their new menu will soon feature breakfast and brunch items, so you can get your nutrients in first. ellaslist wants to hear from you, will you rendezvous with the Gaytime Honeycomb Bomb, or do you have another true love?